Dichroic earrings NEVER go out of style! They are always fun, trendy, unique and oh so beautiful! 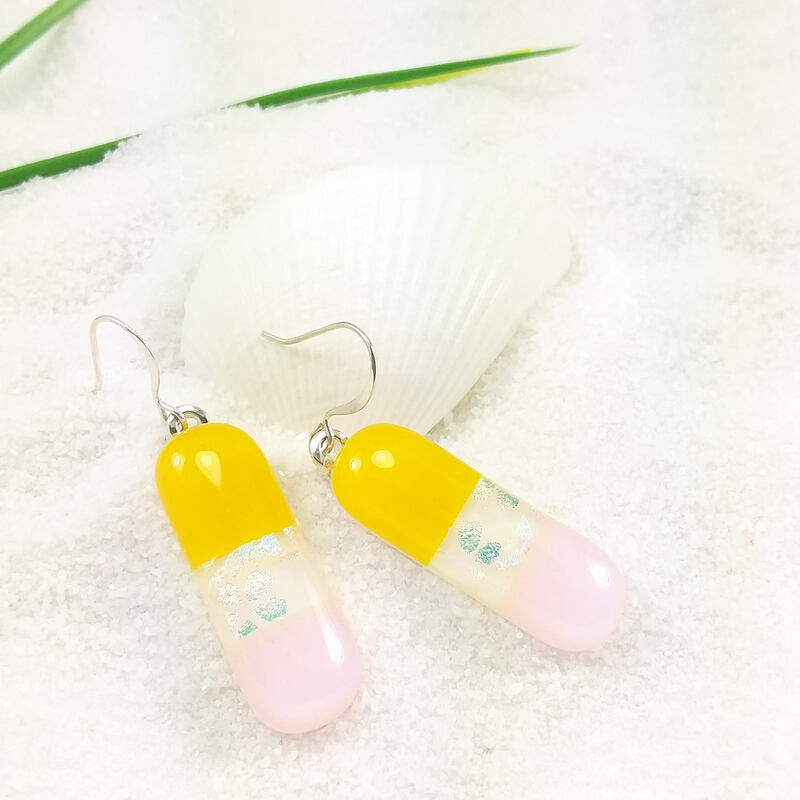 These are really fun with a cool modern shape done in delicate feminine pink, pure white and even sunshine yellow! For added fun, I've also included a strip of sparkly rose gold sakura blossom that stretches across the pure white. Then I fully encased the entire piece in crystal clear glass for that extra depth and sparkle! These are the "Big & Bold" style that ladies can't seem to get enough of! They are set with shiny sterling silver plated bails & ear wires! The glass measures 7/16"w X 1-1/4"